After my second child was born and the kids outgrew our double stroller, I continued to use my Chicco Liteway that I bought when my son was about a year old. As much as I use the stroller, I just couldn’t justify buying a new one, because my daughter is on the larger side for her age and has outgrown any stroller recommendations. Between everyday use, travelling, wear and tear, potty training, etc. the stroller is an absolute mess. I always recommend my stroller to parents after how well it’s held up with the way I am so rough with it. Luckily for my daughter, Baby Bee Haven sent me a Cush ‘N Go to review. The Cush ‘N Go really saved me from having to get a new stroller. It’s very easy to use. Just simply place the Cush ‘N Go on your stroller seat and pull the stroller’s 5 point harness straps through the slots. Use the 5 point harness as you normally would. The Cush ‘N Go adds extra support for your baby’s back, head and neck and has been recommended by medical professionals. The Cush ‘N Go is made out memory foam that allows your child’s head to conform to it, which helps with flat-head syndrome. It’s machine washable for when your child has accidents of all types. The Cush ‘N Go comes in 6 trendy prints that are all reversible. As much as I loved my Chicco stroller, I never liked these 2 clips on the bottom to raise or lower your child’s legs. I found my children to always be annoyed by them and they dug into their little legs. Thankfully, the Cush ‘N Go solved that issue by adding a soft padded covering over it. Like I said, I have tall children, so I really liked that the Cush ‘N Go covered my entire stroller seat and my daughter was able to fall asleep and have a nice cushioned place to lay her head. Baby Bee Haven was started by a mom just like you or I who felt that there weren’t products on the market that she needed to make her life easier. 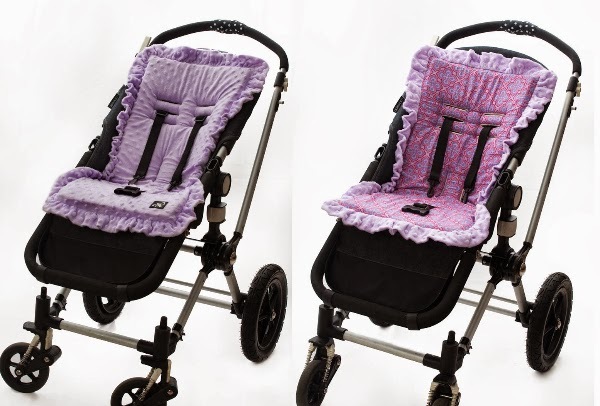 Besides the Cush ‘N Go, Baby Bee Haven has three other great products on the market: the See-n-Store Media Organizer, Swinging Smart Seat Cover, or the Dream Feeder. 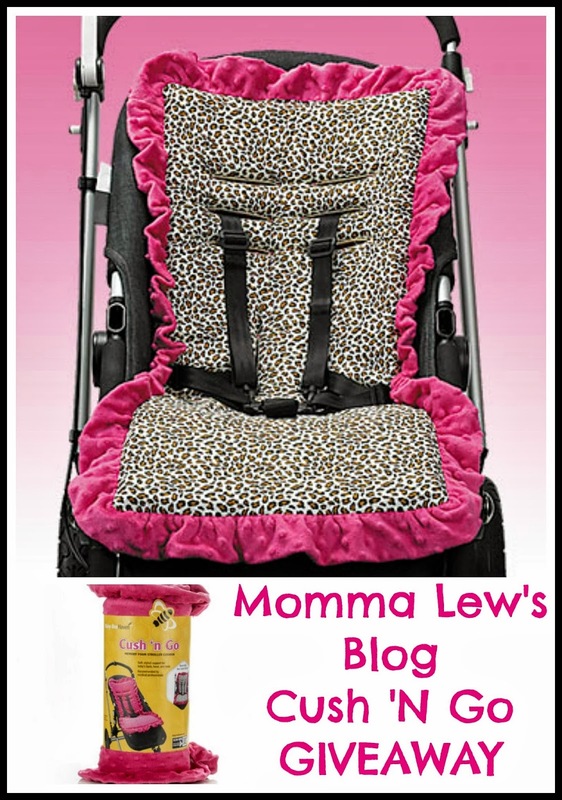 Baby Bee Haven would like to give one lucky Momma Lew’s reader their own Cush ‘N Go ($44.00 ARV)! To enter, follow the steps in the rafflecopter below! Giveaway begins 10/10 and ends 10/24 at midnight EST. Open to US Residents, 18+. Disclosure: Momma Lew’s Blog is not responsible for prize fulfillment. This giveaway is in no way associated with any social media networks.